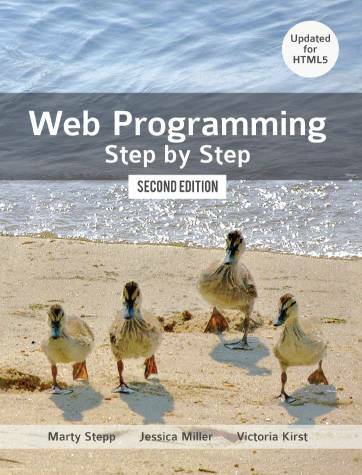 Welcome to the official authors' companion web site for Web Programming Step by Step, 2nd edition. This textbook is designed for use in an introductory web programming course for students who have had a bit of prior introduction to programming (CS1-equivalent) or more. 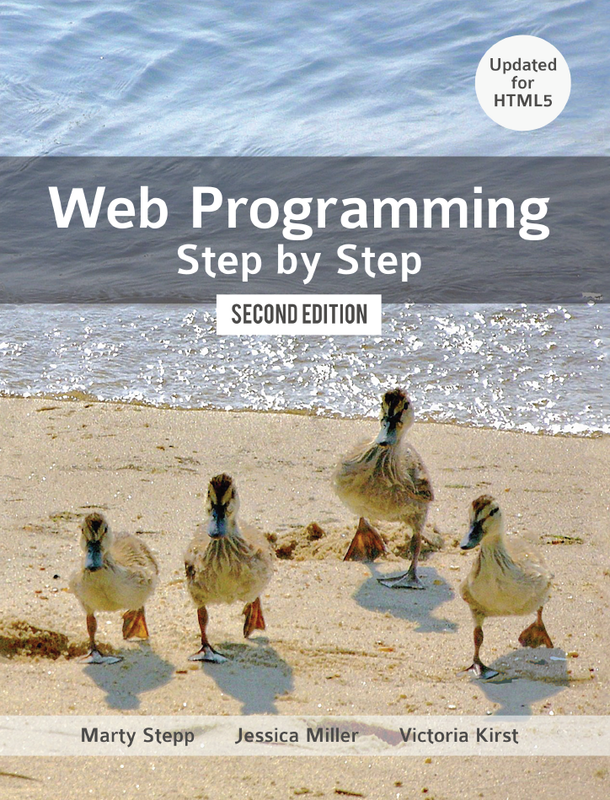 Web Programming Step by Step is written for a broad audience with material that has been used in the classroom with hundreds of undergraduates at the University of Washington, most of whom were not computer science majors. One of the philosophies of the book was to take advantage of the web and move a lot of content online. Supporting online content, including end-of-chapter exercises, can be found in the Supplements section. Content will be improved and added to this section over time. If you are interested in being subscribed to this mailing list, you can register with our webdev subscriber page. We look forward to hearing from you. We've created a Twitter account to post updates about what we're seeing in the web development and education community. Follow us for the latest!